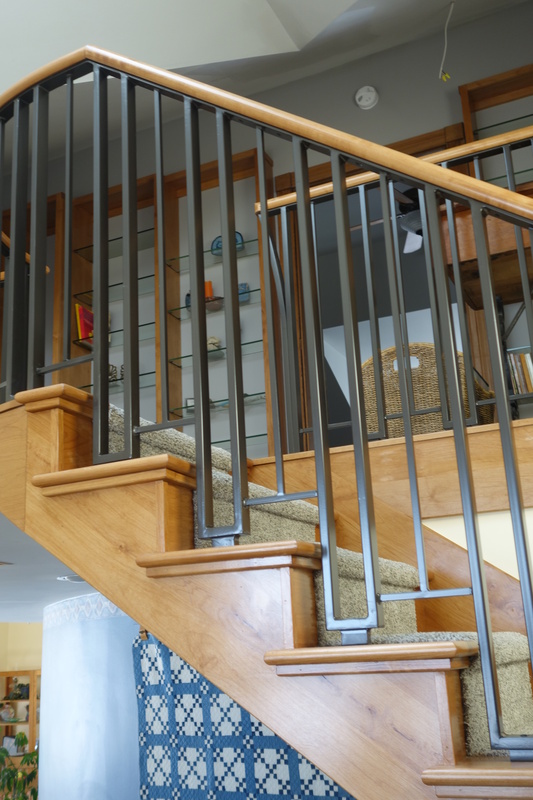 This railing was created while the customer was remodeling their house. The railing was put in to replace what had previously been a half wall on both the stairs and the second floor, making the space feel much more open. We used their custom design to fit in with their farmhouse aesthetic.